My son's birthday is on National (and International) Scrapbook Day so we had a birthday party for him. Then I visited my mother on Mother's Day. I plan to work on lots of crafts and projects tomorrow. 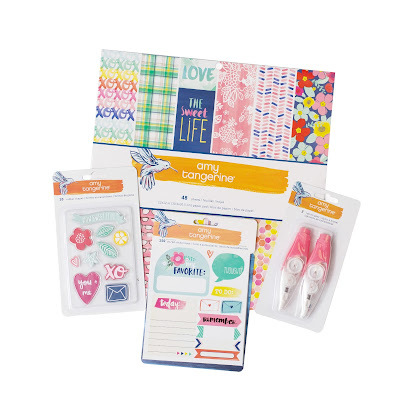 Emily, please email me your address to nancydamiano@gmail.com and we will get your prize pack to you! Thanks everyone for playing along. 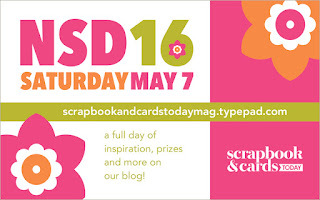 Please join me on the Scrapbook and Cards Today Blog for a day of fun and hourly prizes. 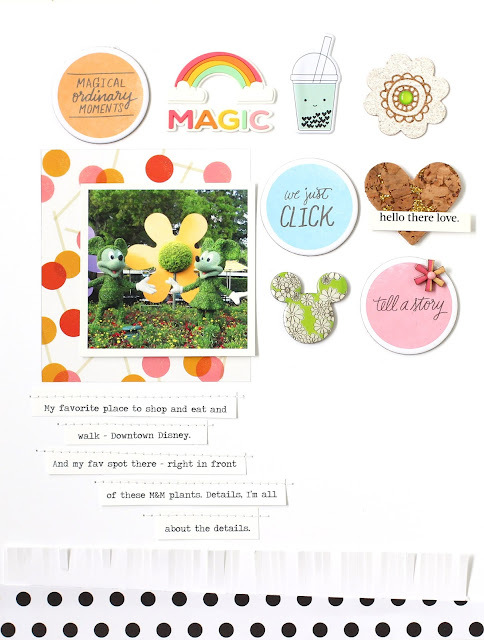 The design team took inspiration right from the pages of the Spring issue! I chose Peppermint Granberg's beautiful grid design on page 67. 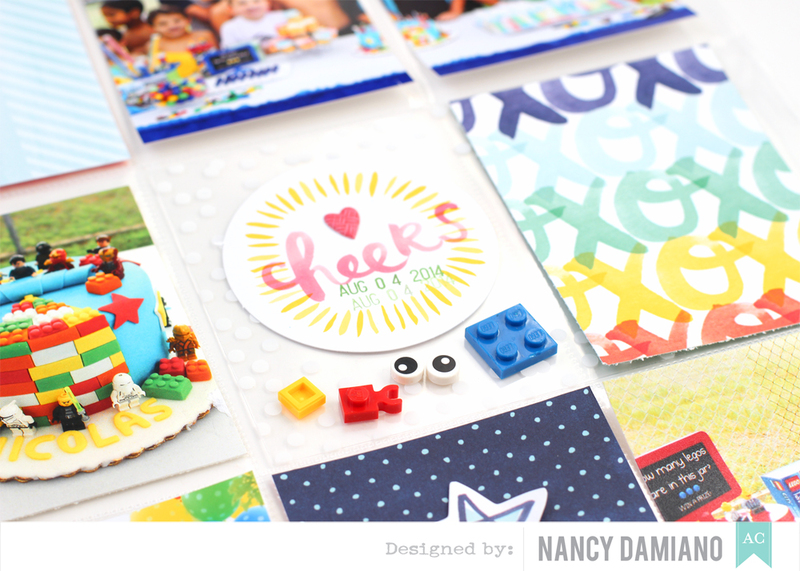 For more on the how's and why's of the design, visit the SCT blog! 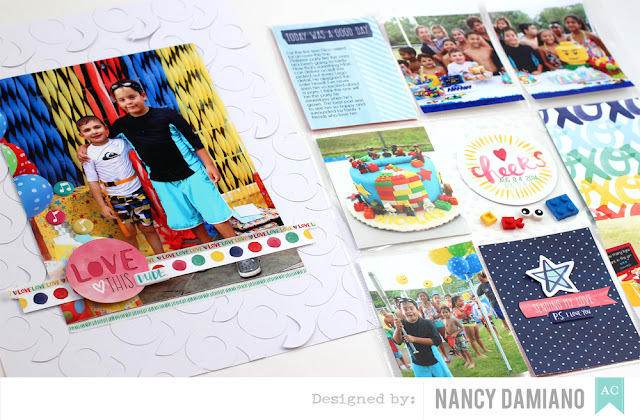 Happy NSD + an American Crafts Giveaway! Happy National (and International!) Scrapbook Day everyone! Let's celebrate with this Amy Tangerine Better Together giveaway from American Crafts. Today is one of my favorite days - celebrating creativity and paper (things that I love)! 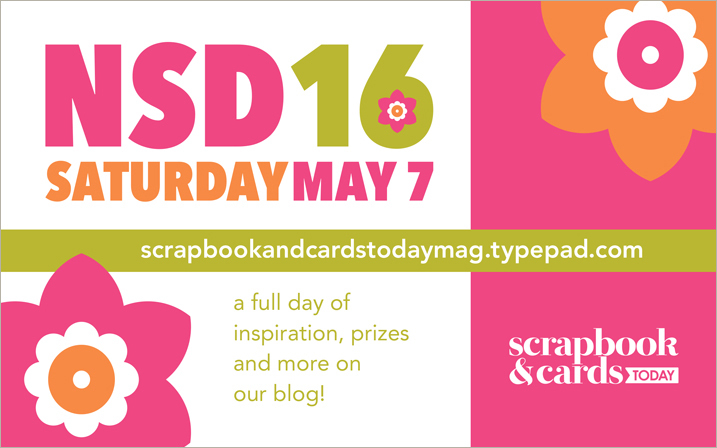 This morning I'll be doing a little bit of everything that I love - scrapbooking, Project Life and card making. I've been a maker for as long as I can remember. Before the teams and the industry, I played with color and paint and stitching. It's great to have a day to celebrate all that rolled up in one. To enter the giveaway, leave a comment and tell me what you are up to on NSD (crafty or not). One very lucky winner will be randomly drawn. The winner will be announced Tuesday, May 10th. 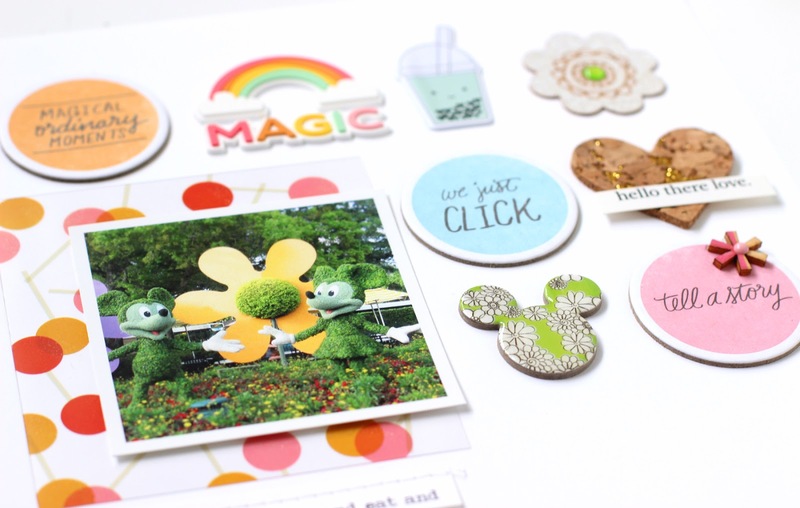 Then, hop on over to Evelyn's blog for another great American Crafts giveaway! The Story | This one is about my son and his love of the clear, blue Caribbean. It's the first thing I thought of when I first looked at this picture. The clarity and color of that water and that big goofy grin. I also thought about telling the story of those two missing teeth, but I'll get to that one later. That very first thought is usually what I build the journaling around. Because I find that's the most authentic when telling a story. Always go with your first gut reaction to a photo. It's what you remember most and that's important! Design | I wanted to create something clean and layered to go with this bold photo. White is my go to background because photos and colors really pop on a clean background. I divided the design in two. Stacking all of the watercolored die cut words down the right side of the layout gives it a bold impact. I really wanted those words to stand out. To balance that out, on the opposite side are layers and layers of patterned paper and that beautiful acetate sheet. If you look at the design, there's an "invisible line" vertically down the page dividing the die cut words (on the right) and then everything else lined up along the left. This is an example of balance and repetition in design. And it's easy!